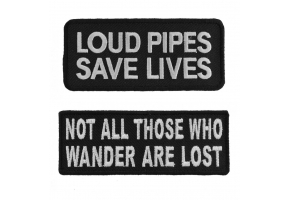 Loud pipes may save lives, but guess what? Jesus Christ Saves Souls. 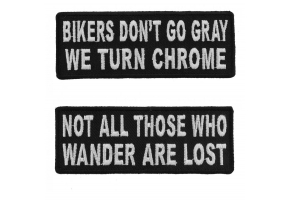 All you Bikers have now heard it, available as an embroidered patch. 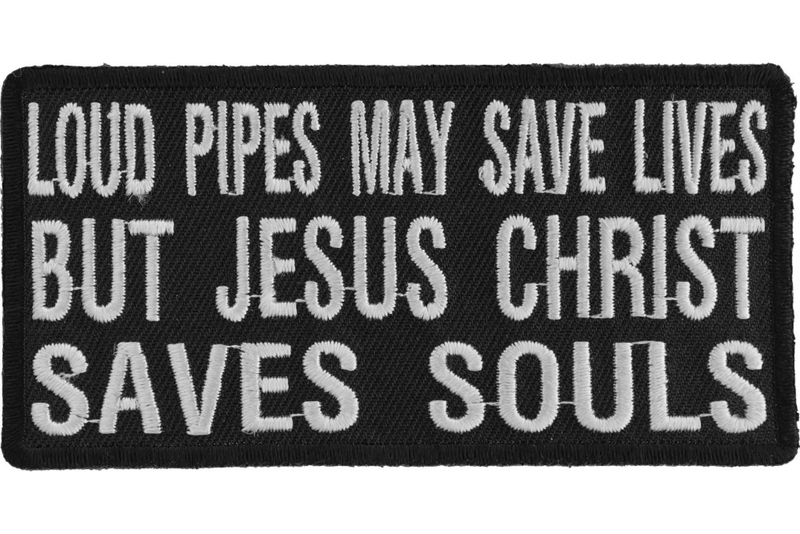 Jesus Christ Saves Souls patch measures 4x2 inches, embroidered in white over black. 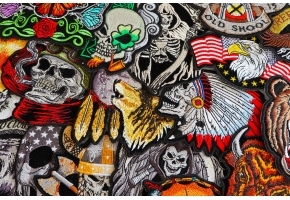 Embroidered Patches are also known as iron on appliques, sew on badges, insignias or emblems. 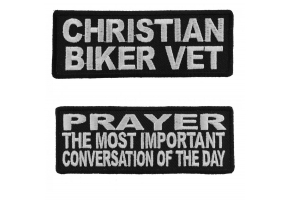 This is a sew on patch. 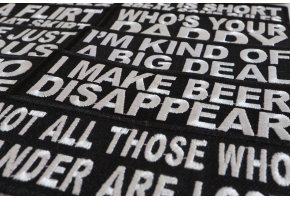 The patch has die cut borders. 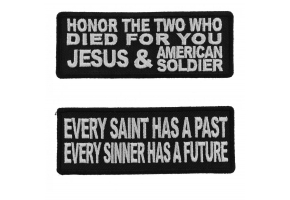 These patches can be sewn on to clothing including leather. 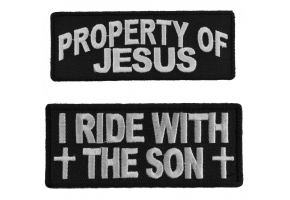 This is also an iron on patch. 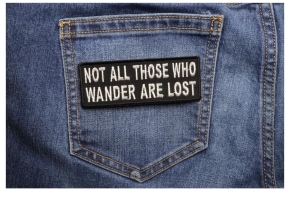 The patch has iron on plastic backing. 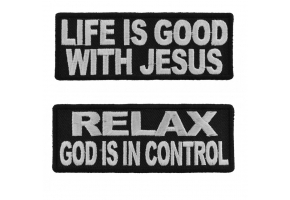 The patch can be heat pressed on to clothing. 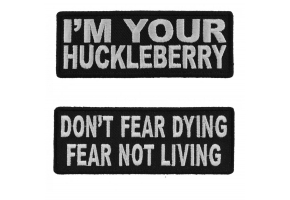 Please do not iron on patches to leather vests or jackets. Leather material will scorch from the applied heat. 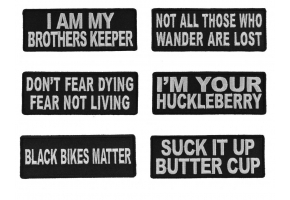 Take our word and do not attempt to iron on patches to leather. 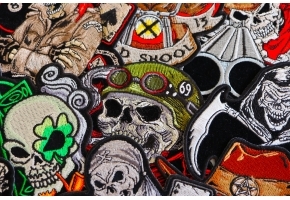 Patches should only be sewn on to leather. 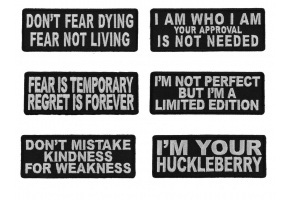 Looking to buy quality patches in bulk? We can offer cheaper prices through a wholesale account. Looking for something slightly different? 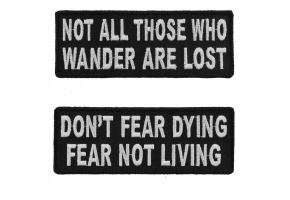 If you want at least 20 pieces we can customize this patch to have different color embroidery, background or be a different size. 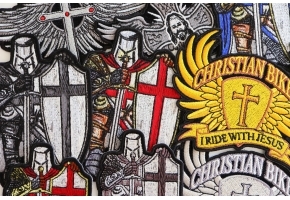 Just inquire a quote by visiting our custom patches page.